Dear listeners, welcome to a new episode of “Sama‘ ”. Today, we will be resuming our discussion about dawr “Sallimti rūḥak”. We ended our previous episode with the madhhab, and did not tackle the dawr at all. 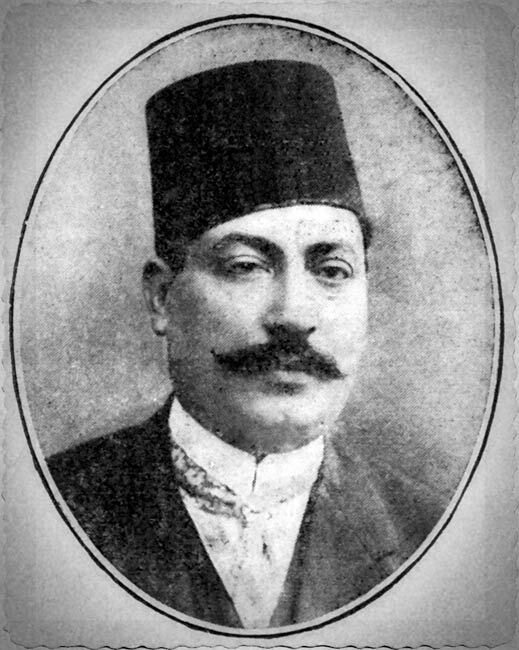 Before discussing what follows the madhhab, let us talk a little about Dāwūd Ḥusnī: Born around 1872 and deceased around 1939, Dāwūd Ḥusnī is among those the Arabic music world did not give justice to, along with Ibrāhīm al-Qabbānī and the generation that followed Muḥammad ‘Uthmān’s and ‘Abduh al-Ḥāmūlī’s. His position in the singing theatre was as important as that of others famous ones, but unfortunately History as well as segregation, whether racial, religious or else were unfair to many in all art and science domains throughout the years. In dawr “Sallimti rūḥak”, the same as in all dawr, a phrase follows the madhhab. This phrase supports the performer’s tafrīd, until he reaches the henk, i.e. the dialogue with the biṭāna. Let us listen to the phrase starting off the tafrīd as intended and recorded by Dāwūd Ḥusnī. We have just listened to a very short phrase. 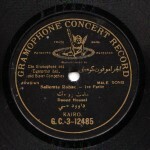 Let us listen to it now performed by Sheikh Yūsuf al-Manyalāwī in both his Gramophone and his Sama‘ al-Mulūk recordings. Sheikh Yūsuf al-Manyalāwī’s performance of this phrase is the same in both his 1905 Sama‘ al-Mulūk recording and his 1907 Gramophone recording. He always sang it as an introduction to the tafrīd that he later performed in the dawr, and it is different from Dāwūd Ḥusnī’s performance. Dāwūd Ḥusnī may have attended one of these two recording sessions, and he had surely attended one of Yūsuf al-Manyalāwī’s live performances of this dawr… and it seems he did not get offended. Let us now listen to this phrase performed by the “trustworthy muṭrib” Sayyid al-Safṭī. Sayyid al-Safṭī’s version of this phrase is close to Dāwūd Ḥusnī’s, but not exactly the same. Maybe Dāwūd Ḥusnī changed his mind after it was recorded or… nobody knows. Let us talk about the āhāt of the dawr, i.e. the henk, the dialogue with the biṭāna. We will listen to the āhāt performed by Dāwūd Ḥusnī, then by Sheikh Yūsuf al-Manyalāwī. Dāwūd Ḥusnī’s performance is short: the record company may have asked him to fit it within two record-sides. 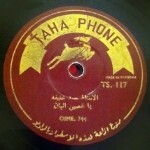 Moreover, the recording era was still taking its first steps. Whereas Sheikh Yūsuf al-Manyalāwī’s performance is very relaxed, including some impish acrobatics with the āhāt. Others performed this dawr and cancelled the āhāt section, such as ‘Abd al-Ḥayy Ḥilmī, and even Sāmī al-Shawwā who did not play them at all. Thus, it seems that this section had not yet been fixed/set in the dawr, even though Dāwūd Ḥusnī had composed his dawr following the purely academic theoretical structure: a madhhab; a tafrīd section; āhāt within the dialogue with the biṭāna; a su’āl and a jawāb, i.e. the waḥāyid section; and then the conclusion. This structure was followed by Sayyid Darwīsh, Zakariyya Aḥmad, Muḥammad ‘Abd al-Wahāb, among others. Strangely, people returned to old structures and cancelled sections of the dawr, like ‘Abd al-Ḥayy Ḥilmī who, in all cases, cancelled the sections he did not like… he may have not felt like performing the āhāt in this recording… nobody knows… ‘Abd al-Ḥayy Ḥilmī was one of the moodiest performers. 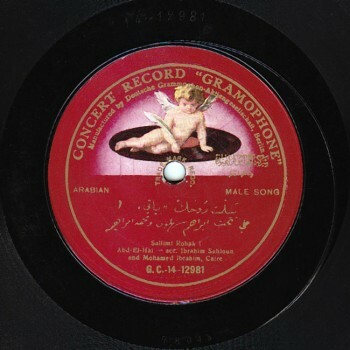 Let us listen to Sheikh Yūsuf’s impish performance of “rūḥī fī īdak wahabtihālak” in both the Sama‘ al-Mulūk and the Gramophone recordings. Sheikh Yūsuf clearly intended his performance as it turned out: he meant to set it, and he may even have agreed on this with Dāwūd Ḥusnī… we will never know. Let us now listen to Sī Sāmī’s interpretation of the “wahabtihālak” part and note the segmentation of “wahab tihālak”. He sang it from the top with his full voice, as we heard it from Sheikh Yūsuf. 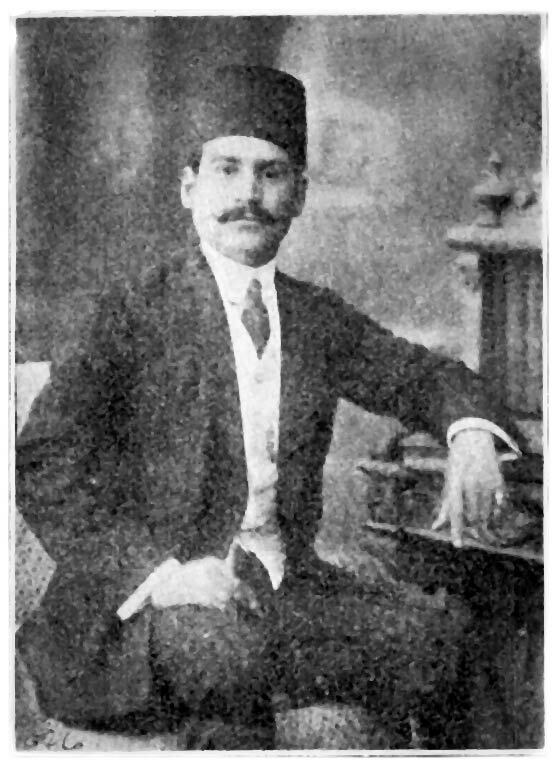 Let us now listen to Sāmī al-Shawwā’s interpretation on the violin. Beautiful! Such an impish performer! So here we are again, discussing the instrumental interpretation of a song that demonstrates how technology can be used to express and to perform salṭana, not only to display technical prowess. Let us discuss the following part: “el-amān min dī el-madhalla”. Sheikh Yūsuf says: “el-amān min dī el-madhilla”… maybe some regional accents required this. 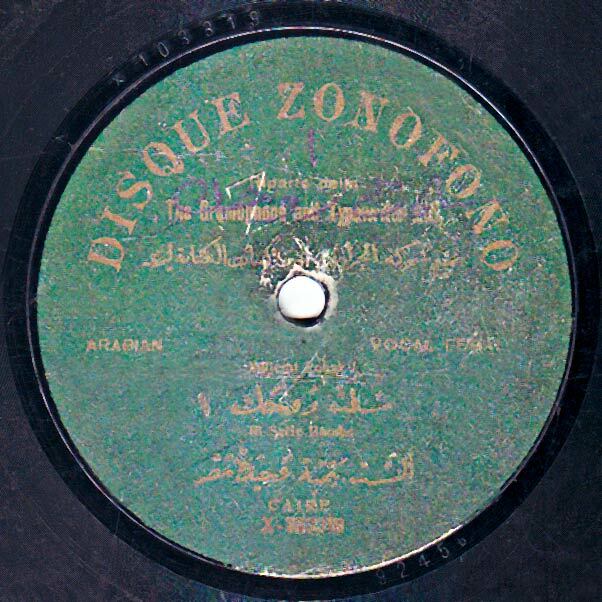 Let us listen to “el-amān min dī el-madhilla” performed by Sheikh Yūsuf, then by Sitt Bamba the ‘ūdist who performs a marvellous dialogue and vocalises which apparently belonged to the female repertoire… I never heard a male singer perform them. Moreover, they were only performed by women who sang dawr, such as Asma al-Kumthariyya and Bamba the ‘ūdist, not by the ‘ālima who sang ṭaqṭūqa. Let us listen to Sheikh Yūsuf first, then to Bamba the ‘ūdist. 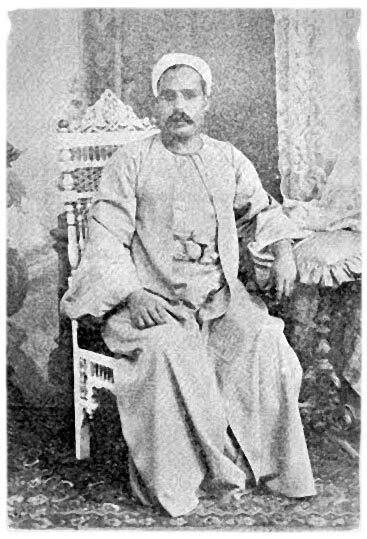 Note Sitt Bamba’s performance of strange ornamentations, unusual both in the old and the modern female singing repertoire, except for those who sang dawr. Let us now listen to the conclusion performed by Sheikh Yūsuf. Sheikh Yūsuf does not conclude just for the sake of concluding, but to continue and perform his impish acrobatics. Let us listen to the conclusion performed by Sayyid al-Safṭī as a type conclusion. He went down gradually and calmly until he reached the conclusion. He does sing by the book, yet performs variations in the middle showing that along with his respect for the melody, he is also able to convey with maestria the same tune with the same notes, but from a personal angle… his performance is creative, not a parrot-like imitation. Before ending our episode, let us listen to the dawr. We will hear an impish creative version, not a type version as we did before. 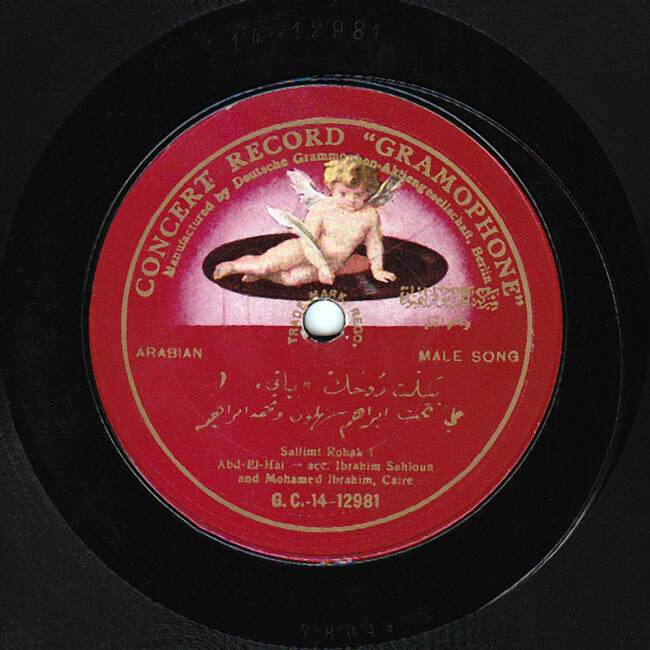 Let us listen to the recording of Sheikh Yūsuf al-Manyalāwī made by Gramophone in 1907 –one of his first recordings with them–, accompanied by a takht including Ibrāhīm Sahlūn (kamān), Muḥammad al-Aqqād (qānūn), ‘Alī ‘Abduh Ṣāliḥ (nāy), and Muḥammad Abū Kāmil (riqq) as well as a biṭāna including ‘Alī ‘Abd al-Bārī and his son Ḥasan Yūsuf al-Manyalāwī who later on recorded dawr with Orfeon then with other record companies. Note Sheikh Yūsuf’s performance of the layālī preceding the dawr, the pattern of the dawr, the taqsīm and the dialogues between him and the instruments within the dawr and after the dawr. We will leave you with Sheikh Yūsuf al-Manyalāwī singing dawr “Sallimti rūḥak” written by Sheikh Aḥmad ‘Āshūr and composed by Dāwūd Ḥusnī. We will meet again in a new episode of “Sama‘ ”. “Sama‘ ” is brought to you by AMAR.